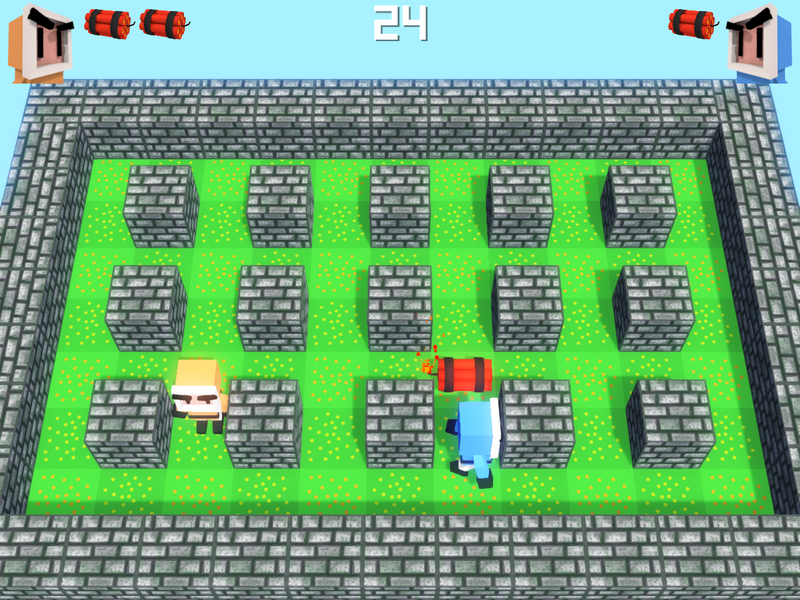 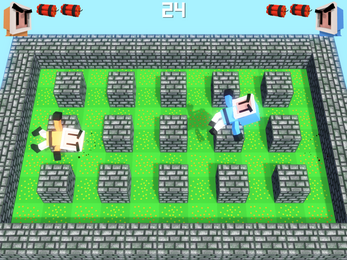 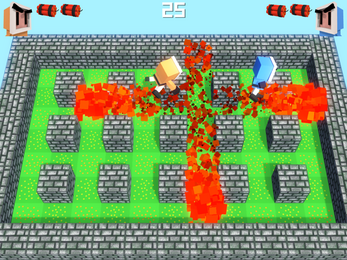 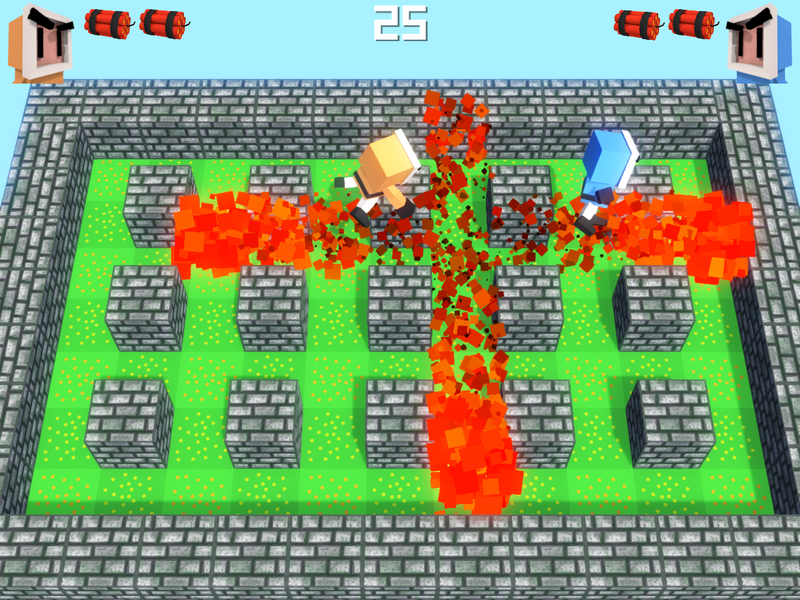 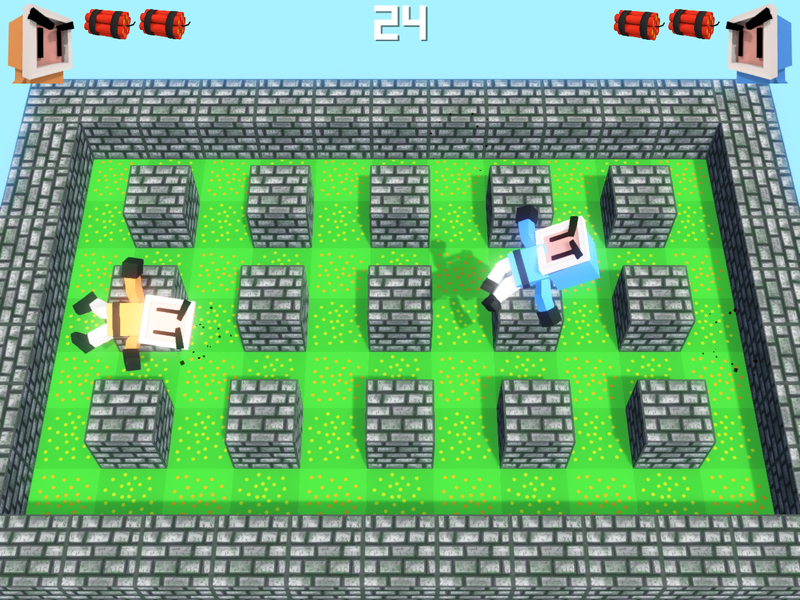 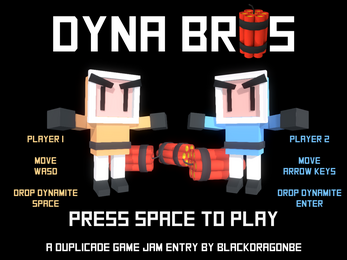 Dyna Bros is a local & online multiplayer game where you blow up your twin brother with dynamite! 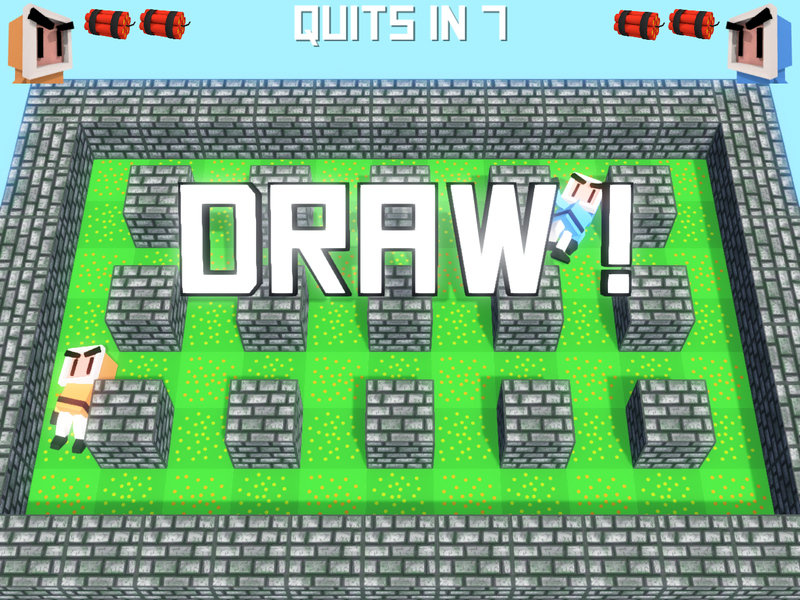 1.3: Removed auto-quit in local mode, added ONLINE MULTIPLAYER! 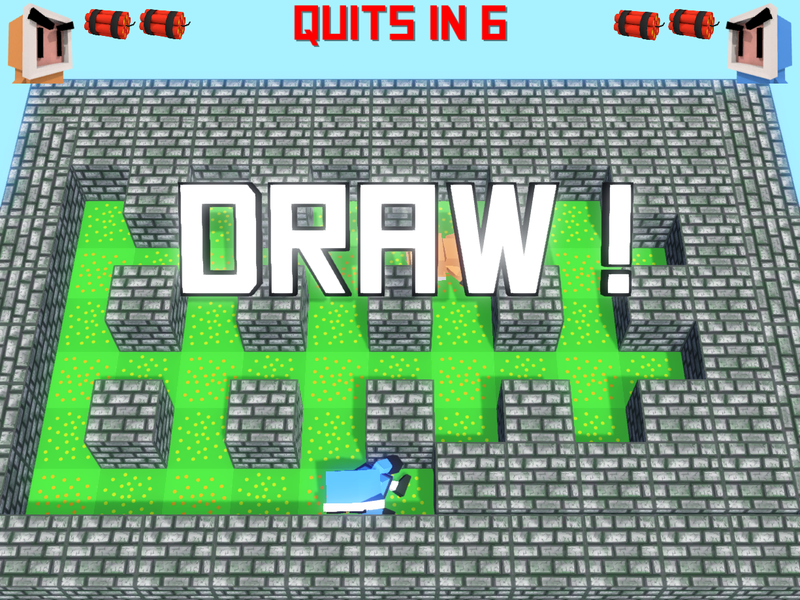 A game submitted for the Duplicade Jam. Uncompress the .zip file anywhere on your computer, then run the DynaBros.exe file. 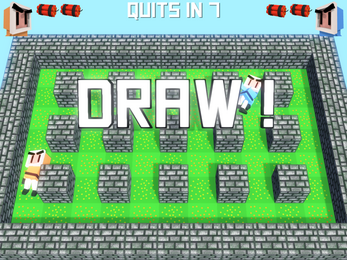 The game will start in fullscreen mode in native resolution by default. 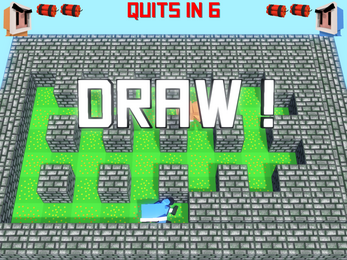 To change the resolution and quality settings, double click the exe and hold ALT.